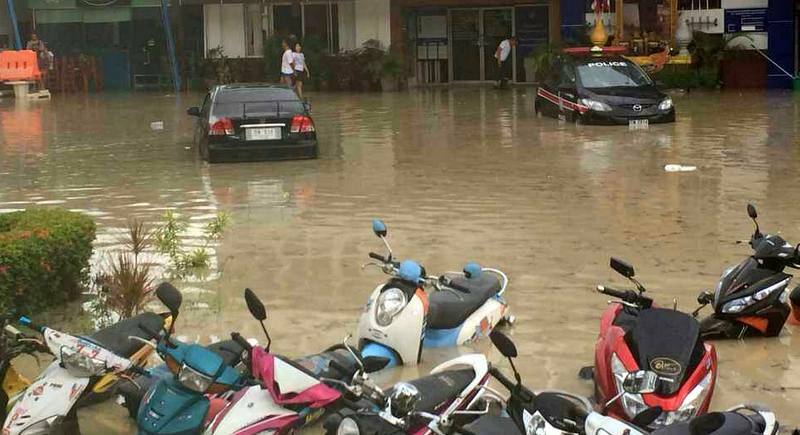 PHUKET: A heavy downpour caused minor flash floods in Patong this afternoon (May 30), with floodwaters reaching up to 50 centimetres in some areas. 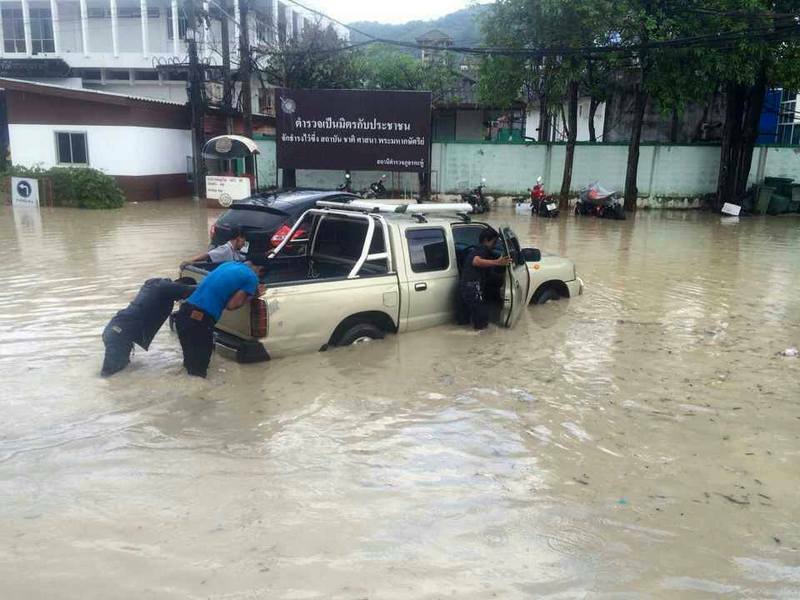 Kathu Police station again succumbed to flooding in Patong. 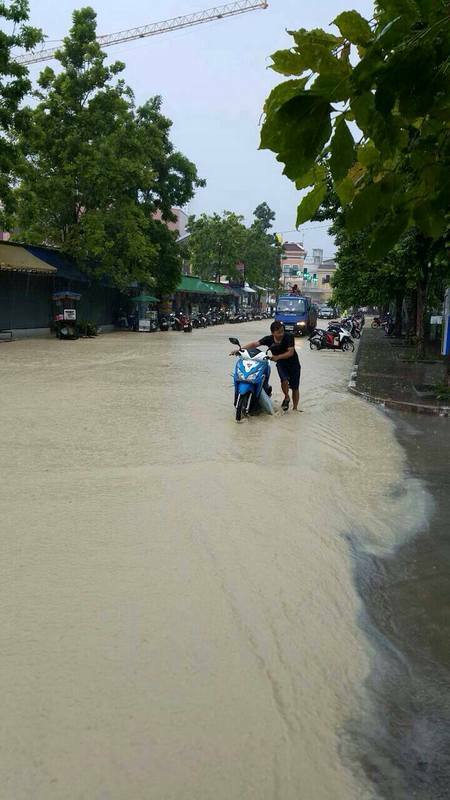 Patong flooded after a heavy downpour fell on the town this afternoon. A deluge at about 1pm caused roads to be overrun with water, leaving motorists stranded or cut off temporarily as the drains failed to carry away the runoff from inside the west-coast resort town. The rising floodwaters were compounded by runoff from the Nakerd hills that encircle the east side of Patong. The Phuket News has been informed that the major roads in Patong are now clearing as the waters subside, and traffic is beginning to flow normally throughout the town. 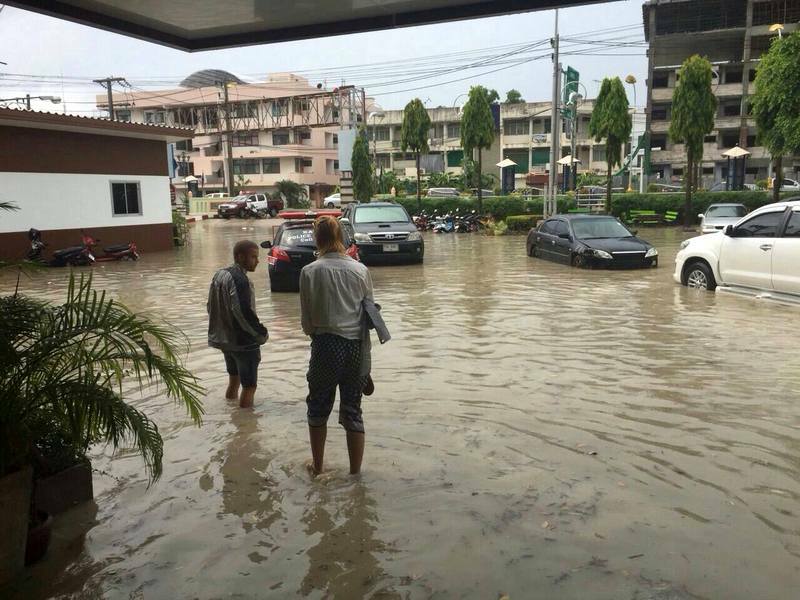 The Southwest Meteorological Centre in Phuket forecasts more thundershowers this week, with a warning that more minor flash floods may occur.